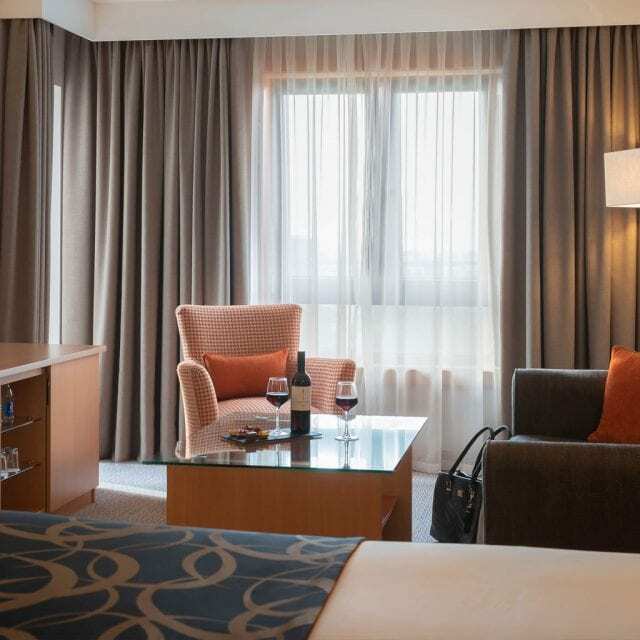 Return after a day in exploring Dublin city to relax in our stylish and comfortable rooms, with all the additional facilities needed to make your stay enjoyable. Our superior rooms are designed to maximise your comfort. Room facilities include a 42” flat screen TV, complimentary WiFi, and a double and single Clayton signature bed. Guests can avail of complimentary use of our 24-hour dry gym. Room service is also available 24-hours with a range of delicious options. Executive rooms are stylish and chic. Relax in luxury with added extras including bathrobe and slippers, bottled water, luxury individual toiletries, a king-sized Clayton signature bed and a daily newspaper. Each room also features a 42” flat screen TV, complimentary WiFi and a Nespresso coffee machine to help you wake up. 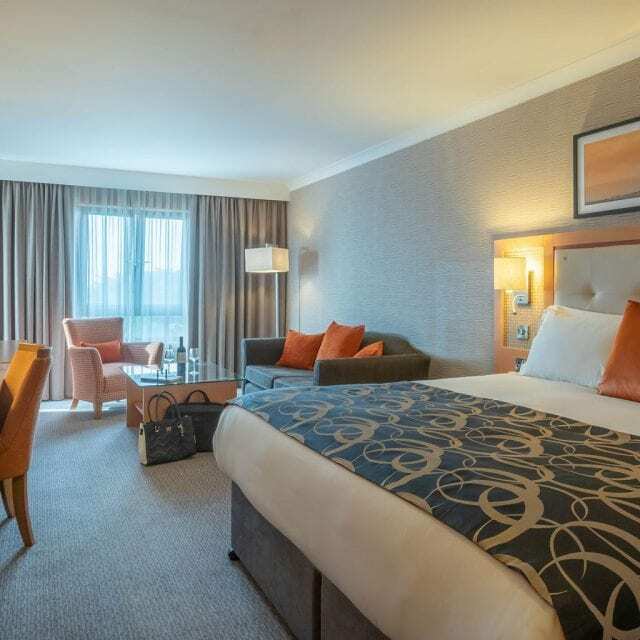 Clayton Hotel Leopardstown is ideally located close to all major transport links, M50 motorway junction 14, LUAS Green Line into city centre and Dublin Aircoach right outside the front of the hotel. 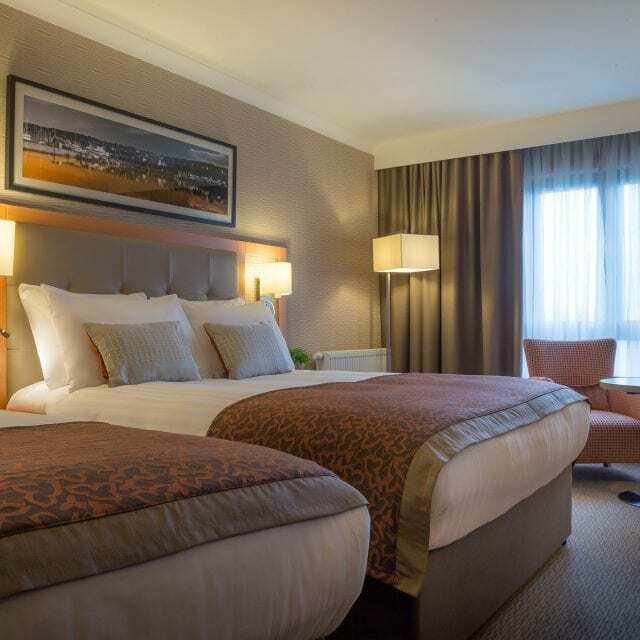 We have a number of triple rooms available at Clayton Hotel Leopardstown. The spacious rooms are comprised of 3 single beds and are a great choice for friends or family sharing. During your stay, you can enjoy complimentary access to the fitness suite on -1 level. Discover the local attractions and things to do near Clayton Hotel Leopardstown. 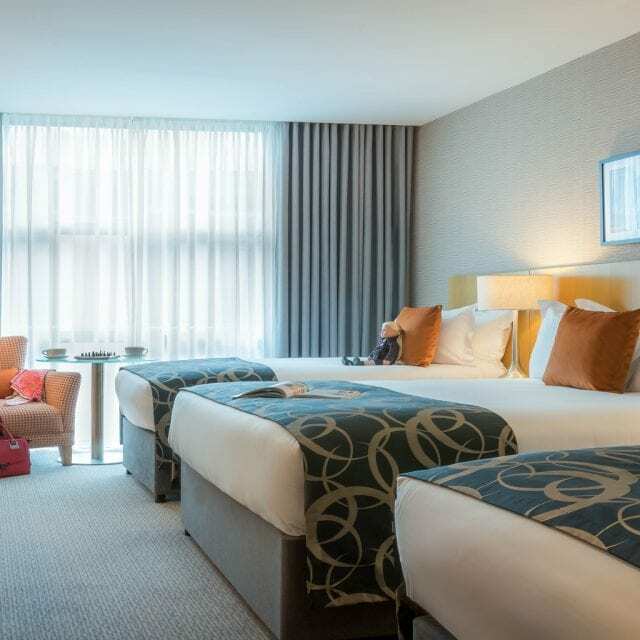 Family rooms at Clayton Hotel Leopardstown are smart with a modern design, perfect for your family stay. All family rooms include one double bed and two single beds. For those larger families, we have interconnecting rooms available which can hold up to six people. There are a number of family activities and attractions close by including Imaginosity, Leopardstown Racecourse, Dundrum Town Centre, Dun Laoghaire Pier and Dublin Zoo. 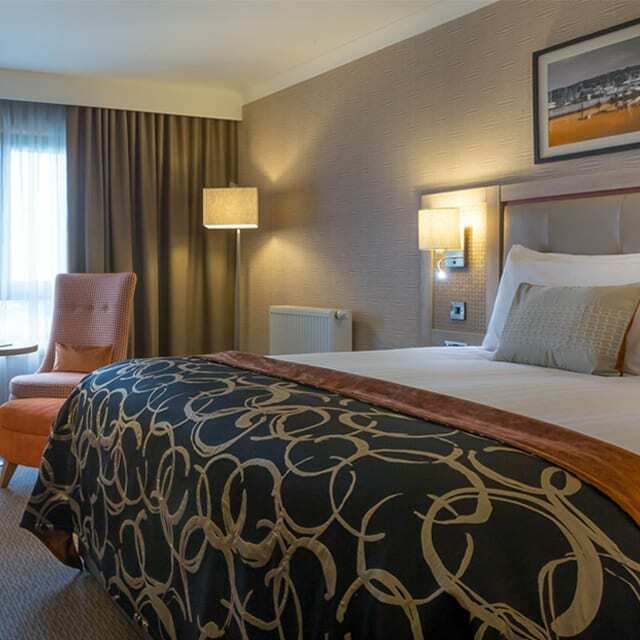 Clayton Hotel Leopardstown boasts 17 junior suites which are the height of luxury and comfort with lots of added extras to make your stay extra special. These spacious rooms are located at the corner of the property which allows for excellent views. Enjoy an overnight stay for all the family with breakfast plus 2 family size pizzas, ice cream and welcome pack for the kids. 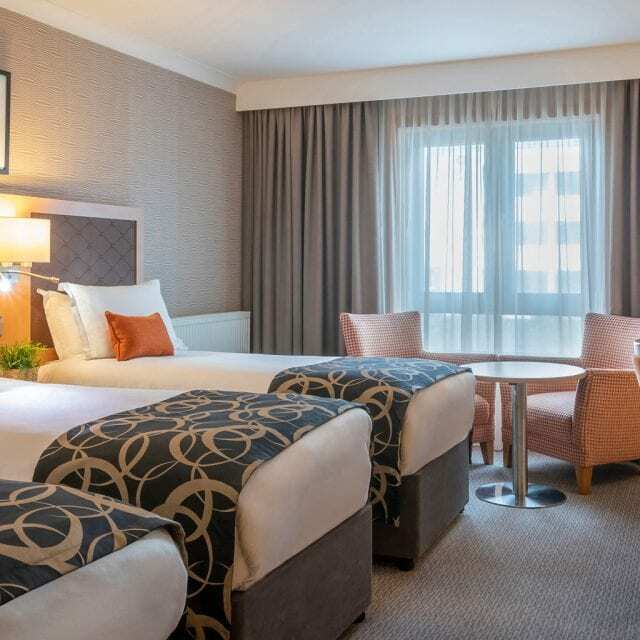 Stay and save with an overnight break including breakfast for all the family plus a family pass to Dublin Zoo from €189.00. Enjoy a Sunday sleepover with a complimentary upgrade to our executive room, welcome drink on arrival and breakfast.